For in-depth information, including assembly instructions, images and sizing charts, please see the submittal sheets below. Additional information is also available in the Miscellaneous Submittal Sheets section. 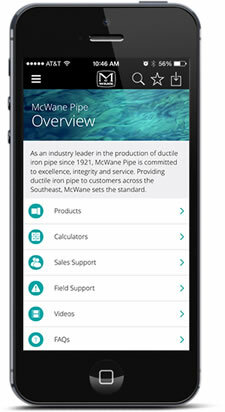 Download the new McWane Ductile Iron Pipe product catalog featuring Boltless restrained joint systems, multiple design options available from 3”–36”, fast and easy installation, 350 psi pressure rating and independently tested products.